It is our mission to make orthodontic treatment a positive experience and we’ll do whatever it takes to make certain that you feel relaxed at the start of your visit so that you always walk out the door happy and satisfied with your treatment. We have so many exciting activities around the office that some patients even say they wish they never had to leave! We’re known for the amount of personal time Dr. Ortega spends with each patient. You will never feel like you are in an orthodontic factory! You will have time to get to know Dr. Ortega and the entire WRO Team. Your consultation will be done specifically for you, your treatment plan is customized for your needs, and it’s all done with YOUR input. You will leave your consultation knowing what your treatment plan is and WHY treatment was recommended. The White Rock Orthdontics Team is committed to constant professional and self-improvement. 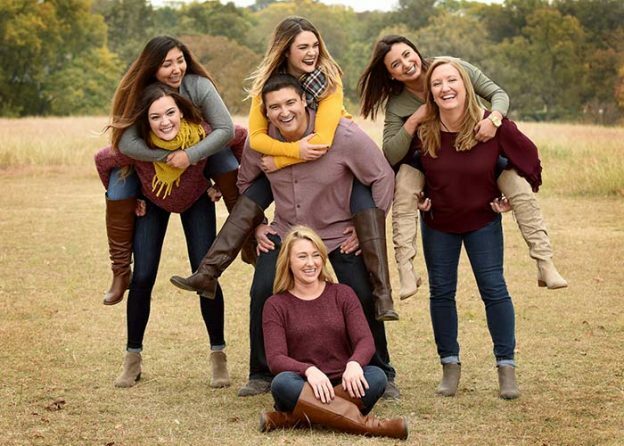 Dr. Ortega attends lectures and seminars throughout the country in order to stay up-to-date and bring the best technology and techniques to his patients. In addition, every Team member has made the commitment to growing by learning. Each of our clinical assistants has voluntarily demonstrated a high level of motivation, orthodontic knowledge and proficiency by preparing for and passing the American Association of Orthodontists’ voluntary certification program. They spent countless hours preparing themselves to take a 250-question exam covering all areas of orthodontics. Each clinical Team member has earned the designation of a Specialized Orthodontic Assistant (SOA), a title that is shared with less than 1% of the orthodontic assistants in the United States and Canada! Dr. Ortega firmly believes that a beautiful smile isn’t just a straight smile—it is also one that is healthy! Dr. Ortega will ensure that your teeth and gums are healthy prior to beginning orthodontic treatment. He may recommend a thorough exam and cleaning by your dentist before begininng orthodontic treatment. If you are in need of a dentist, our Team will help you find a dentist to make sure that you are ready to begin treatment. At White Rock Orthodontics, we take oral hygiene seriously before and during your treatment. On the day that the braces are put on, we take the extra step of sealing the front surfaces of your teeth to help protect your teeth and prevent white “scars” from forming during treatment. In addition, you also get a free oral hygiene kit at the beginning of treatment! In addition to the care we give our patients, we also care about the community around us. We believe that preserving our earth is something to smile about, so we have done everything we can to ensure our practice makes the lightest footprint possible. We use a chemical-free digital X-ray system and our office is paperless, meaning we create less waste than the typical practice. Our office is conveniently in the historic Casa Linda Plaza, near White Rock Lake. We offer a variety of appointment times to fit into your family’s busy schedule. If you are looking for a skilled and professional orthodontic Team, we have you covered. Call today! We proudly provide quality orthodontics to Dallas, Mesquite, Garland, Lake Highlands, Lakewood, and all surrounding areas.